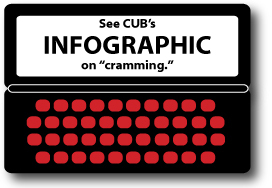 “Cramming” is when a third-party company—a company other than your local, long-distance, or cellphone carrier—slaps a charge on your bill for a service you never ordered or received. Scam artists take advantage of complex bills to hide fradulent charges—usually less than $10 a month—among a forest of other fees. Illinois has passed landmark legislation that cracked down on landline cramming, but wireless customers are still vulnerable to the scam. A telemarketing call or a piece of junk mail. A website that offers a “free” coupon or other service or entry in a sweepstakes. “Malware,” software that infects a phone. An unkown text message announcing you have won a contest. Other typical scams invole “premium services” for horoscopes or trivia via text. Scour your bill each month for suspicious charges, such as “Premium Services,” “Enhanced Long Distance,” “Set Up Fee,” “Text Subscription,” “Membership Fee,” and other vaguely named services. Register phone numbers with the federal government’s Do Not Call list, at www.DoNotCall.gov. Beware of online contests or sweepstakes that require filling out online forms. Illinois law now bans most third-party charges from landline bills. Ask your cellphone carrier if it offers free fraud protections, such as blocks on texts, data, or third-party charges in general. Beware of unknown texts. Identify potentially fraudulent texts and get tips on how to handle them, at www.SMSwatchdog.com. There have been conflicting reports on how best to handle suspicious texts. Some people report not answering such texts led to a cramming charge on their bills, and others report that they responded “STOP” and that still led to a cramming charge. Unless you have specific information on how to handle a suspicious text, it’s best not to answer it—but be particularly careful to read your bill to spot any cramming charges later. If I Spot a Suspicious Charge on My Phone Bill, What Do I Do? Call the cramming company to dispute the charge (see if the company’s number is on the bill). Call the phone company. 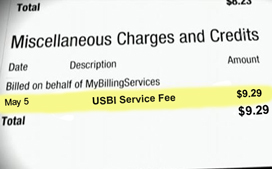 Inform it that you’re disputing the charge and you’re only paying the undisputed part of your bill. Make sure you agree what that undisputed amount is, and record the time of the call and the full name of the person you talk to. Illinois consumers: File a complaint with the office of Illinois Attorney General Lisa Madigan (www.illinoisattorneygeneral.gov).